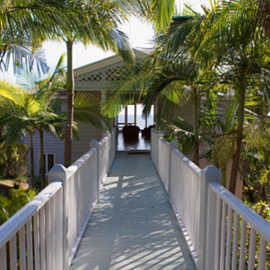 Agnes Waters finest beach home, with a global reputation for being one of the best luxury experiences in Holiday Accommodation. 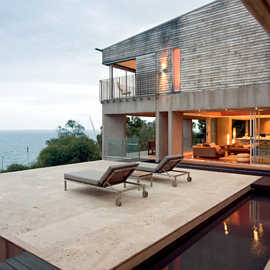 Alinghi’s design incorporates two separate pavilions built around a vast travertine terrace overlooking the Coral Sea. 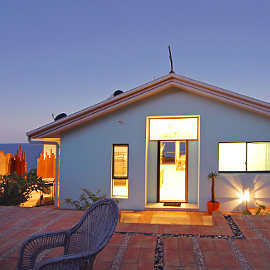 Coral View is a Stunning Beach House situated in the secure gated estate of Rocky Point. Enjoy 180 degrees of uninterrupted views across the Coral Sea. Discover this unique environment which offers an abundance of wildlife & fauna in its most natural setting. The estate enjoys the luxury of a 30 meter swimming pool, tennis courts, fully equipped cabana and BBQ area with male & female change rooms. Encompassed by beautifully kept gardens and beachfront, the beauty of nature is shown at it very best. Simply stunning. The White House offers unique luxury holiday accommodation for families.